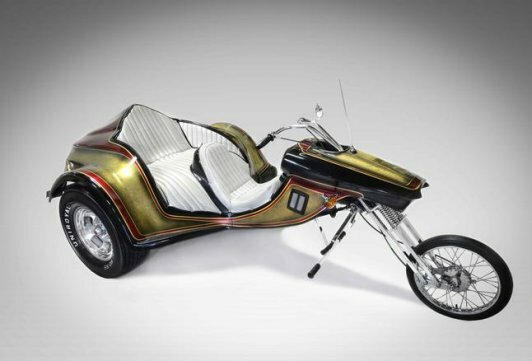 Within days (or weeks, according to differing sources) of buying his Stinger VW trike from Super Cycle in Memphis Elvis returned and bought another trike. 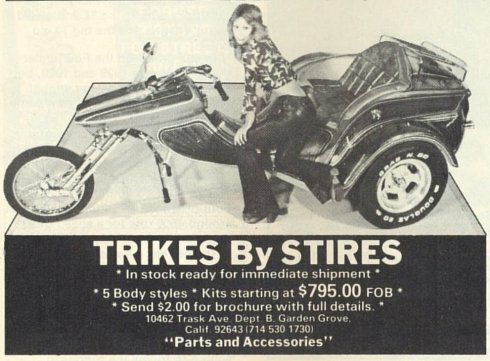 This one was a new Stallion model, a two passenger version also built by them in 1975 from a kit offered by the Garden Grove, CA based company Trikes By Stires. 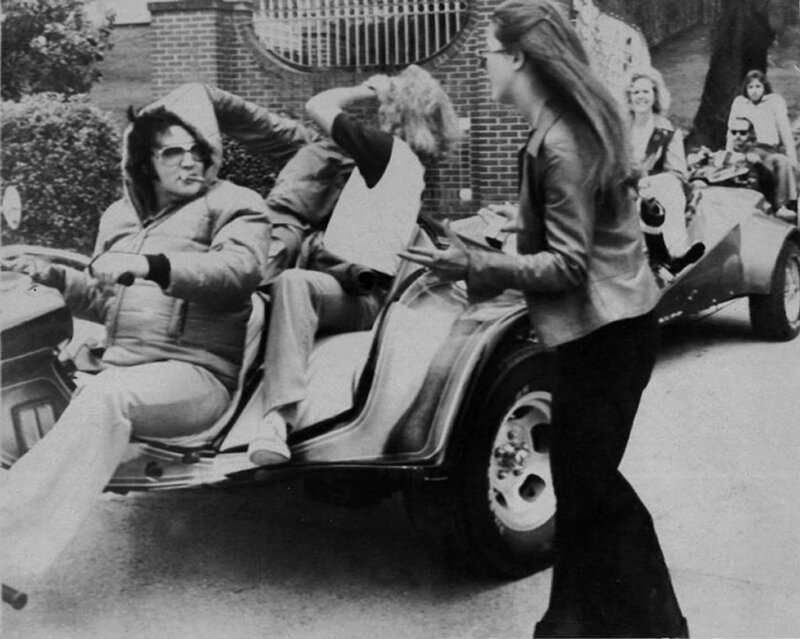 This is the one Elvis has been pictured driving around most, at times with girlfriend Linda Thompson, cousin Billy Smith, one of the Stanley step-brothers, and even Lisa-Marie and Ginger Alden. 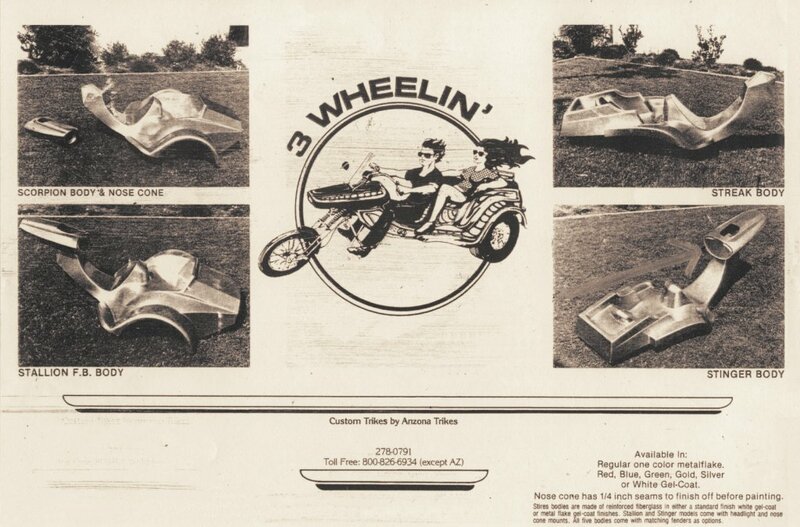 Like the Stinger, it too was offered by several manufacturers in the early and mid-seventies and one of two models at the time available from Super Cycle. 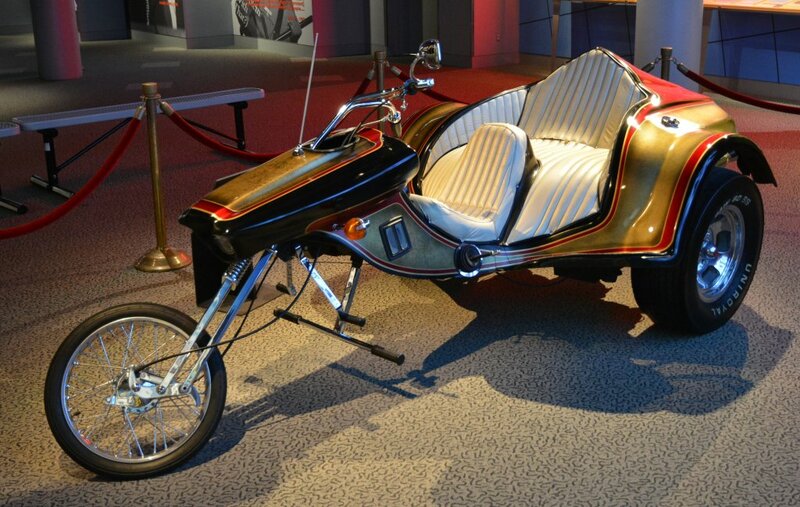 It features a 65bhp, 1600cc Volkswagen air cooled engine. 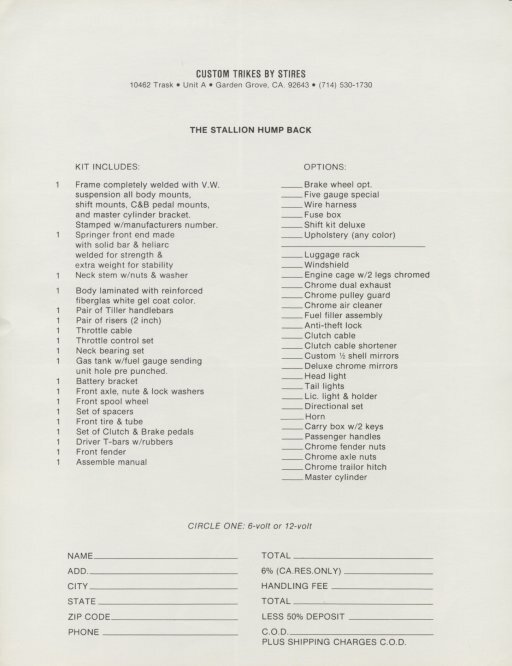 The Stallion evolved and was available with several options, including windshields luggage racks and even tour packs. 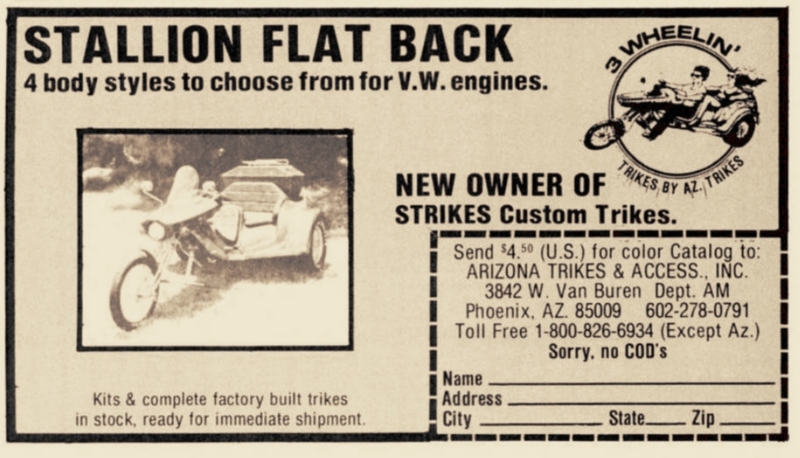 By the early eighties Clyde Stires offered five models before selling the operation to Arizona Trikes Inc. in Phoenix. 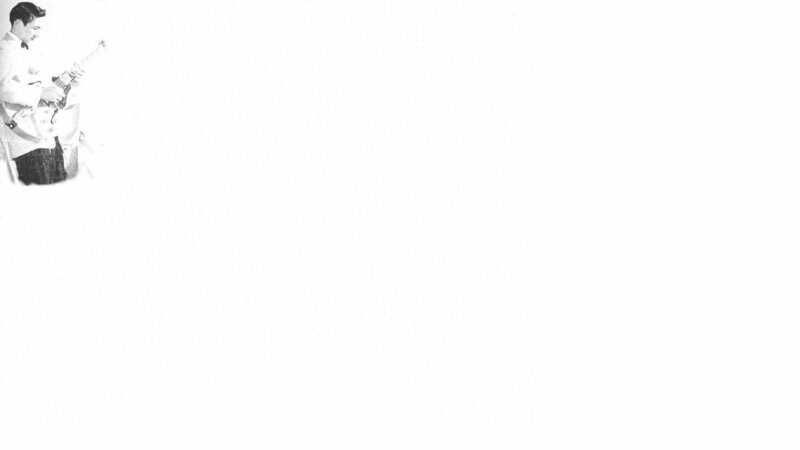 He had employed his brother Gary as a builder until 1976. 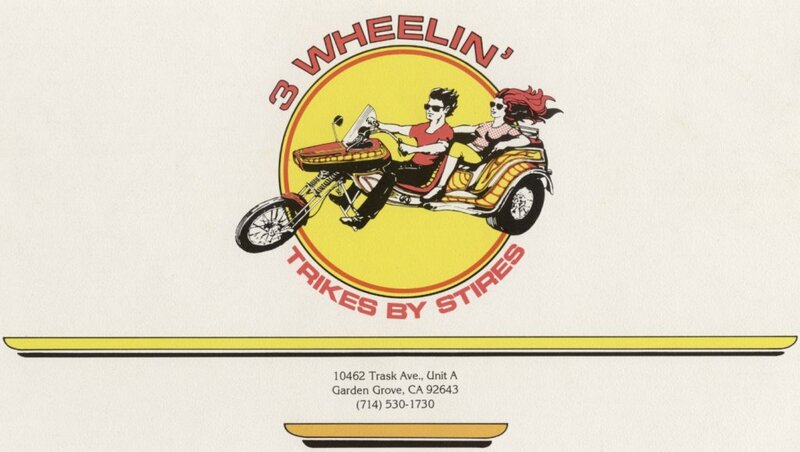 Clyde went on to start Stires Chemco, Inc. in 1982. 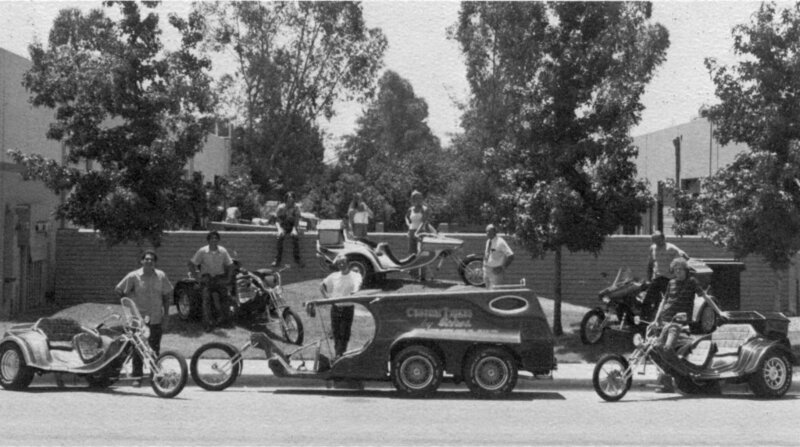 Super Cycle continued obtaining kits from Arizona who Ron believes to be still in business and said now only offer one of the models that Elvis built, that being a variation of the Stallion. 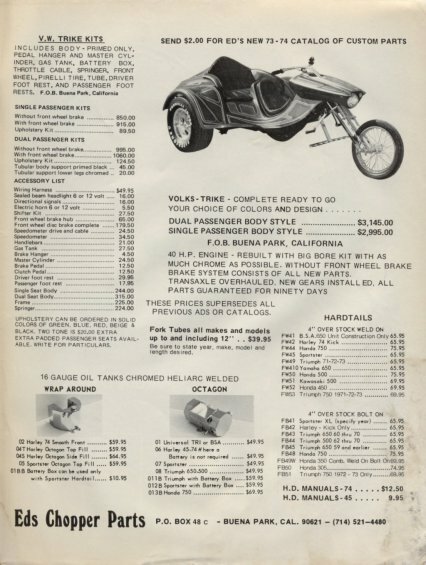 Around 1981 or 1982 EPE had the Ron and Lew Elliott at Super Cycle restore the trikes, motorcycles and other various vehicles at Graceland for something called “Wheels on Tour.” It was essentially a short lived museum on tour of Elvis’ vehicles which preceded the Auto Museum. They didn’t work on the cars, and Ron said the 1976 FLH that is part of the collection now wasn’t there then. 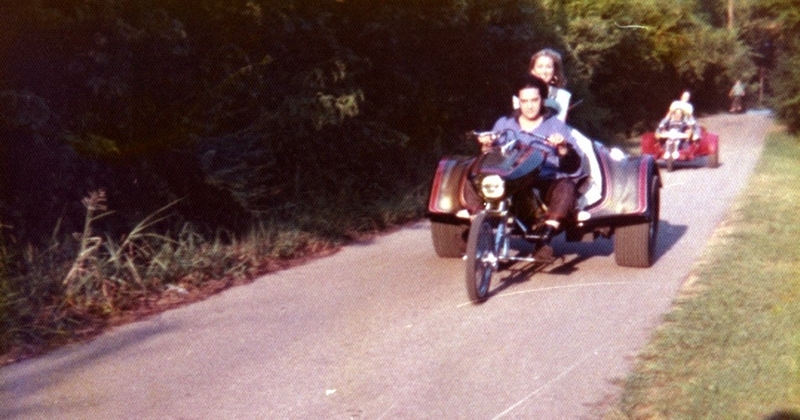 Around 1983 they assembled a 1957 Harley-Davidson Hydra-Glide like Elvis' for a client for $7500 who then sold it to EPE. 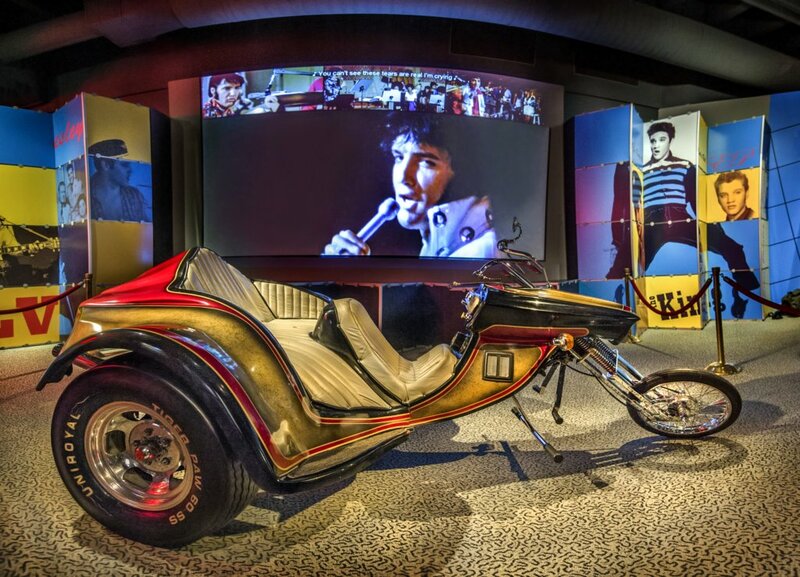 The motorcycle was on display at their Heartbreak Hotel for years and is currently featured in the exhibit at the Westgate Hotel in Las Vegas. Of Elvis, Ron said. “He was a perfect gentleman. He called me and my brother Mr. Elliott. He was never presumptuous at all. 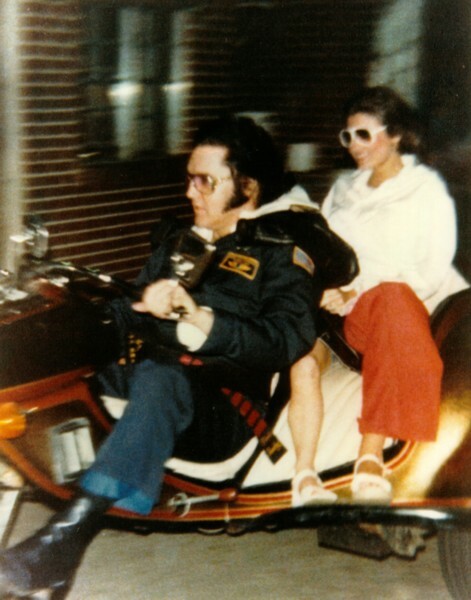 He was always so appreciative of everything we did.”2 Elvis’ 1975 Stallion had been on display at the Auto Museum in Memphis for years but as of 2013 at least had been on loan and display at the Rock and Roll Hall of Fame in Cleveland. 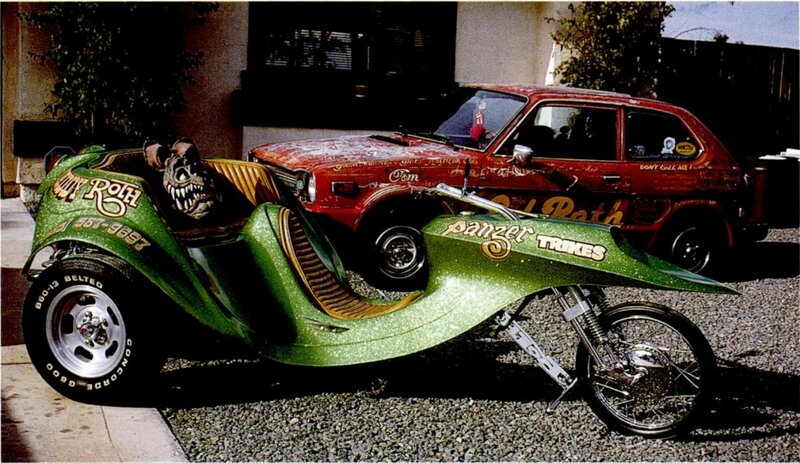 Special thanks to Ron Elliott at Super Cycle for his input and assistance with this page. 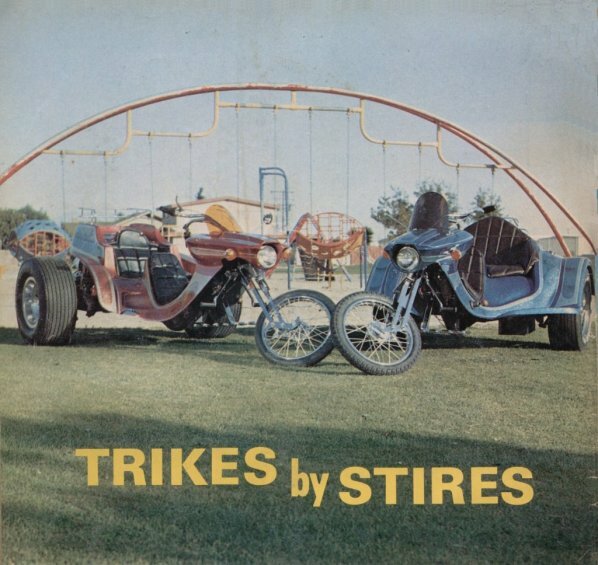 Much of the history of Trikes By Stires presented here was obtained directly from advertising and promotional materials of the day.